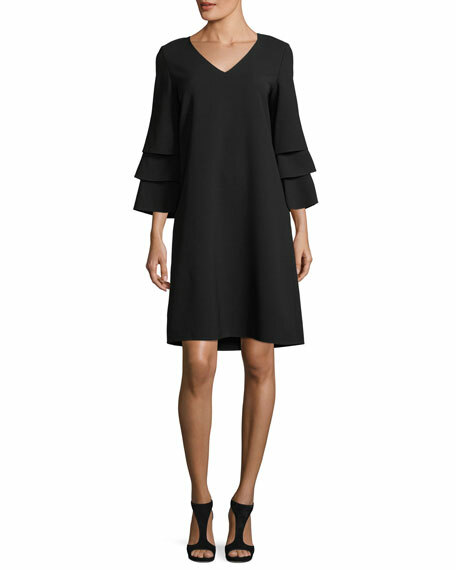 Lafayette 148 New York "Velez" dress in stretch-crepe. 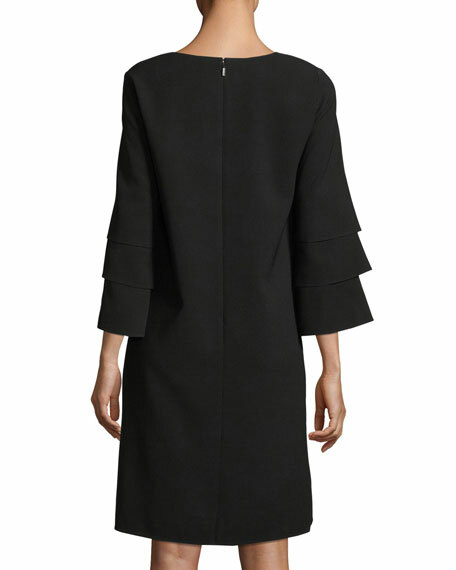 Three-quarter sleeves; tiered bell cuffs. For in-store inquiries, use sku #2439331.